Do you bid prevailing wage work? Thank you for registering. You will receive more information about this webinar via email. Building relationships can sometimes be more important than the construction project itself. In Relationships Are King in Construction: Part 2, learn how to connect with general contractors and project owners before bid day, and ahead of your competition. 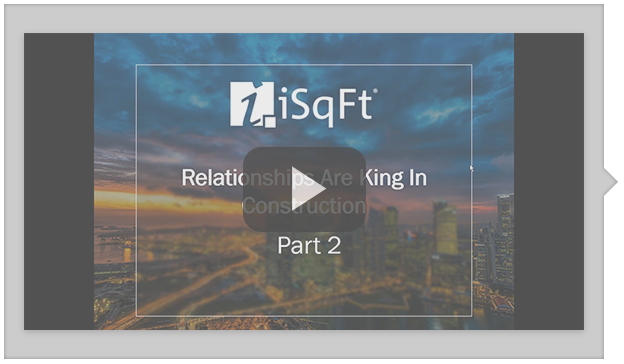 This webinar, led by iSqFt Training and Development Manager Ken Yingling, will address the challenges of building meaningful business relationships and offer solutions to help subcontractors stand apart from their competition. © 2016 iSqFt, Inc. All rights reserved.